Terms and Conditions apply. Not valid in conjunction with any other offer. Voucher codes cannot be used on sale items, pre-owned watches or limited edition watches. 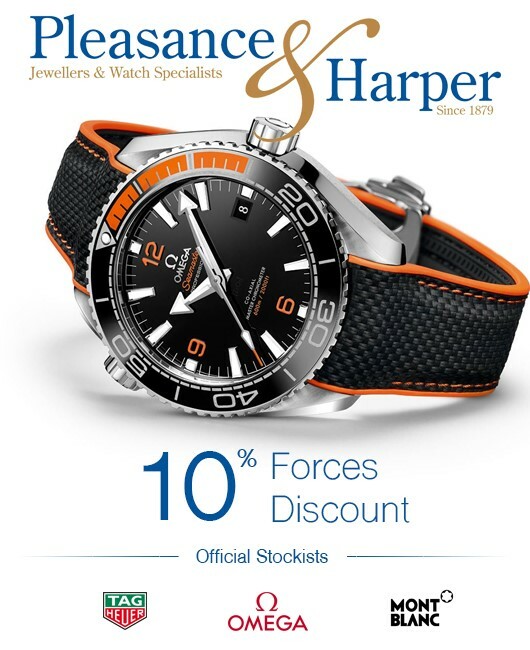 At our No.56 watch boutique on Broad Street in Hereford, we are pleased to offer brands that include the following: OMEGA, TAG Heuer, Longines, Montblanc, Tissot, Seiko, Seiko Astron, Luminox, Alpina and Mondaine. Simply type in ‘forces10’ at the checkout to access your discount.